SunDo is a platform that connects farmers and volunteers for a meaningful and enjoyable farming assistance. With the SunDo app everyone can find the right activity at the right time and place. 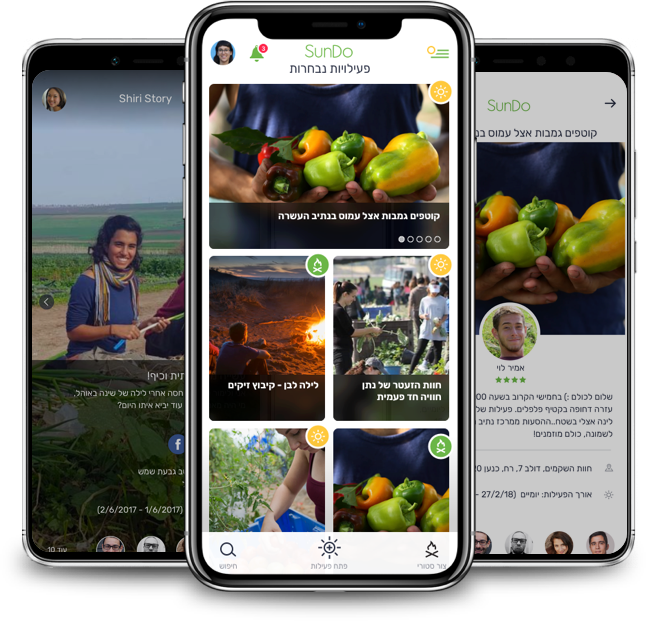 Download the SunDo app and join Israel's first Agri-Community! SunDo is Israel’s largest agricultural volunteer platform and partners with hundreds of farms throughout the country. 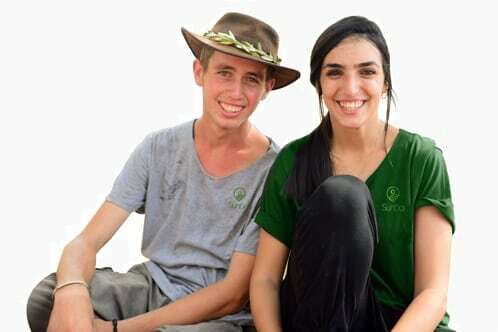 With SunDo, the farmers of Israel can open their farms to volunteers and allow everyone to enjoy the experience of agricultural volunteering. SunDo offers volunteers many activities from the farming world. From picking, pruning and shaping, to work with sheep and cattle. Each and every one can find the activity that is appropriate to their character, pace and abilities, and thus enjoy the communal, valuable and uplifting work. In addition to the agricultural volunteer tasks, volunteers enjoy social activities, local attractions, new friendships and unforgettable experiences! © 2018 SunDo, All rights reserved.